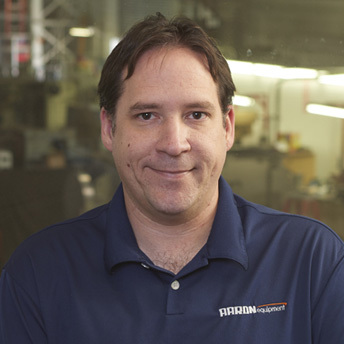 Ken Matuszak is the Operations Manager of the Aaron Companies and has been with Aaron for over 10 years. He has worked in the rigging, inventory and traffic departments and was the chairman of the Safety committee. With previous experience and education in management, Ken coordinates the organization's day-to-day operations and strives to provide customers with the best experience when purchasing or selling machinery at Aaron Equipment.